← Communicating a mission and vision: Who should I tell? 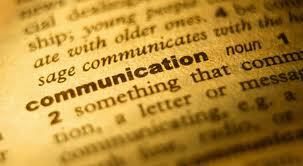 To do that, he argues that effective communication is more than just data transfer. Communicating for buy-in requires addressing people’s anxieties, accepting their anger, and appealing to their emotions on a gut level. In addition, to communicate for buy-in, I recommend having real dialogue with those affected. Not just an information session, with a brief Q&A, but a real live discussion, where people can get their concerns, anxieties, and fears out on the table and work toward common goals. It may seem scary at first to engage in a dialogue like this, but it is the fastest route for building buy-in in any change effort. In your experience, what has worked best to communicate for buy-in and engage people in making the vision a reality? This entry was posted in change and transition, communication, Engagement and tagged buy-in, mission, vision. Bookmark the permalink.